Nokia and SK Telecom tests 3.78 Gbps 4G speeds, which is 400 times faster than what we get in India. 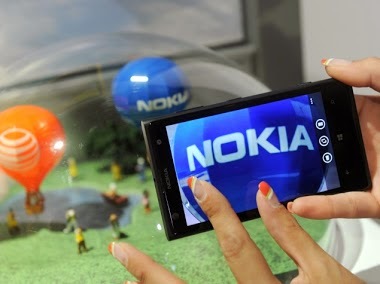 Finnish mobile phone maker, Nokia has successfully demonstrated 4G speeds of 3.78 gigabits per second and claims that the speed achieved is 400 times faster than other top 4G options offered by major telecom operators in India. Nokia tested the speed on a South Korean mobile carrier SK Telecom at the Mobile Asia Expo (MAE) in Shanghai. The two companies accomplished the new record breaking speed by bringing together TDD and FDD LTE spectrum, and aggregating 10 spectrum frequencies allotted to both LTE versions to include 200MHz bandwidth. The companies stated that achieving the high download speed is really important as it could become a foundation for gigabit high-speed data services. SKT stated that it is planning to develop its gigabit network to improve 5G technologies, beginning with 3.8Gbps transmission speed demonstration at MAE. “Nokia and SK Telecom reached a throughput speed of 3.78 gigabits per second (Gbps). At this speed, a mobile broadband user can download a full-length 5GB high-definition (HD) movie in just 11 seconds,” Nokia said in a statement. “By breaking the record for the next-generation wireless network data transfer speed with SK Telecom, we were able to prove Nokia’s advanced technology in the field of LTE,” said Zhang Qi, vice president of TD-LTE at Nokia. “To help the mobile carrier provide the world’s best data service to its customers, we will continue to cooperate on developing new technologies,” he added. According to a recent report by Akamai, India has the slowest ‘average internet speed’ in all the countries in the Asia Pacific region. According to the report, the average internet speed in India is only 1.4Mbps. Recently, it was reported that India is working with Israel on 5G technology for developing its Internet technology.